As the U.S. experiences very raw social and political divides, pink’s part of the current conversation is palpable. 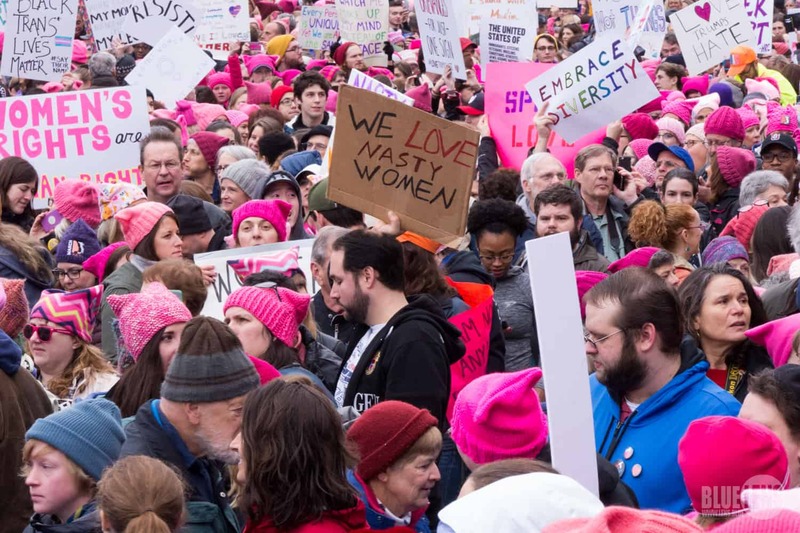 I have not seen such a parade of pink in a long time. Edited by Valerie Steele, PINK: The History of a Punk, Pretty, Powerful Color, adds to pink’s part of the current conversation. It’s uncanny how interrelated topics converge. 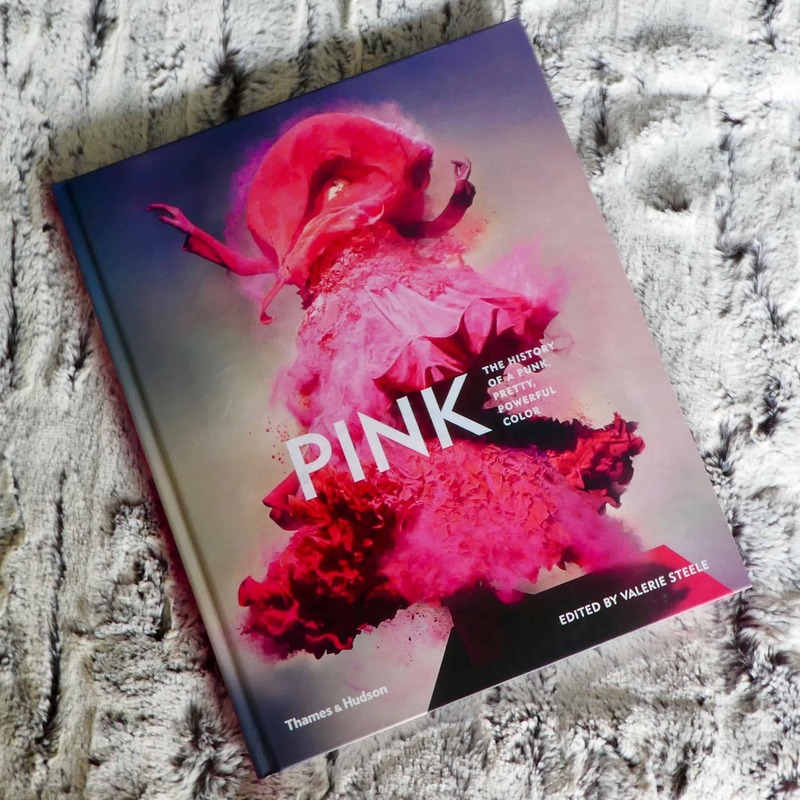 The Museum at FIT [Fashion Institute of Technology] recently launched PINK: The History of a Punk, Pretty, Powerful Color. A book edited by museum director, Valerie Steele and a lunchtime lecture she gave, support the marvelous exhibit. In recent days an array of pink-clad women, and one man, “tied” up in pink, paraded across our screens. You probably know where I stand politically. But because the point of my post is apolitical, I’d rather acknowledge that I have a political position. My intent here is to point out what I have observed as a fashion and personal style strategist. Pink’s part of the current conversation extends to women and men advocating for women’s rights. Pictured here, the Women’s March in Washington D.C., January 2017. Before the avalanche of accusations that pushed the #MeToo movement into prominence, I’ve stated my staunch support of women’s rights. As a sexual violence survivor, I’ve paid a great deal of attention to the continued hearing of Judge Brett Kavanaugh. 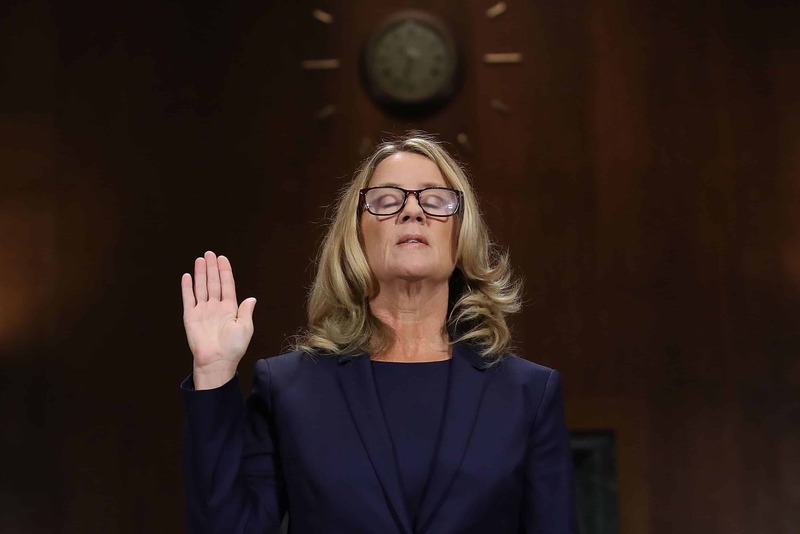 The charge brought forth by Dr. Christine Blasey Ford has taken social justice advocates and naysayers by storm. It might seem unremarkable to many, but pink’s part of the current conversation is undeniable. We have just borne witness to deliberate uses of the color pink to make socio-political statements. Sometimes, people have even worn the color subversively, attempting to shift the narrative without saying a word. Pink has popularly held meanings and connotations. Wearers of pink may choose it because a particular tint, tone, or shade is physically flattering. As a best practice, people who look good in any particular color, use it to represent their essence. In the case of pink, it psychologically could describe the wearer as loving, compassionate, empathetic, accepting, nurturing, and affectionate. I choose to use gender-neutral language to describe colors. In these examples, any human could potentially exhibit these qualities. Organizations have picked up on pink’s social connotations. Because of this, we automatically associate pink with feminism, victim’s rights, breast cancer awareness and gay rights activism. 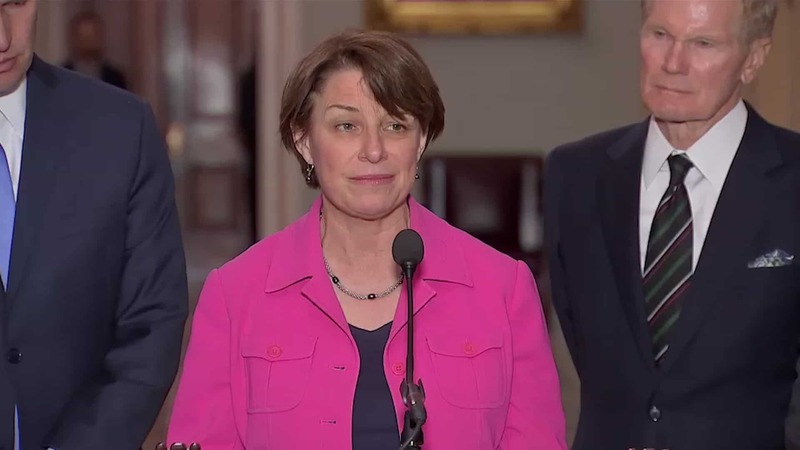 Sen. Amy Klobuchar, D-Minn., member of the Senate Judiciary Committee, flanked by fellow senators and wearing a fuschia pink jacket. Given the scope of this writing, I’m not critiquing anyone’s use of pink as a fashion choice. I’m also refraining on commenting whether the color looked good or bad on anyone. Deliberately deciding to wear pink in the context of the current discourse is a non-verbal communication strategy. I found it fascinating to observe pink’s part of the current conversation. So, simply wearing the color marks pink’s part of the current conversation, visually. 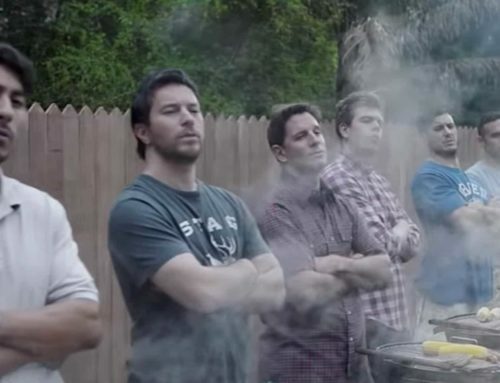 Plus, the non-verbal social psychological messages play a part of the discourse. 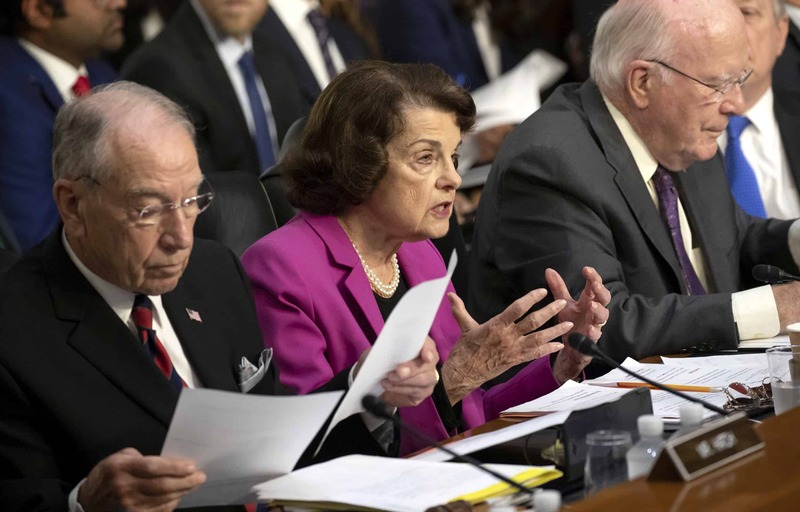 Senator Dianne Feinstein, the ranking member of the Senate Judiciary Committee wore pink. 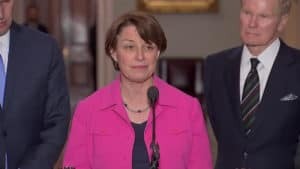 So did her fellow Democratic senate colleague, Senator Amy Klobuchar. They wore pink the day of Dr. Blasey Ford’s testimony. 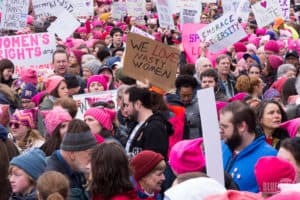 Others did, too, forming a sisterhood, saying, “Hey, we support women victims” just by banding together in pink clothes. 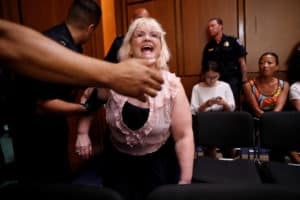 Women activists, on the first day of Kavanaugh’s confirmation hearing, also wore pink while attending the proceeding. Merely wearing pink was too passive for them. They yelled out in opposition, resulting in their removal from the proceedings. Many television commentators also clad themselves in pink. Some people reporting from Capitol Hill wore clothing items in pink. But, subject matter expert commentators who offer facts and opinions could feel freer to express their positions with pink. 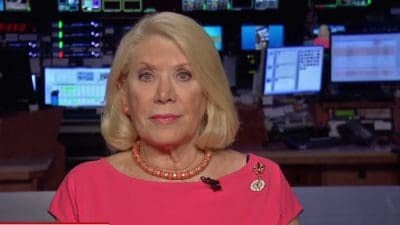 Especially noteworthy is Jill Wine-Banks, a regular MSNBC commentator, lawyer, and former federal prosecutor during the Watergate scandal. She takes pink to another level by wearing it as a backdrop for high impact focal point pins and brooches. 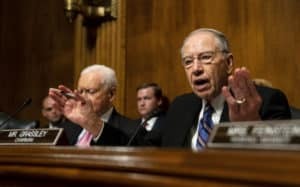 Looking past the right outstretched arm of Sen. Charles Grassley, R-Iowa, Chairman of the Senate Judiciary Committee, is Sen. Orrin Hatch, R-Utah, wearing a pink tie. But there is another way to look at how people telegraphed messages by wearing pink. After stating, “I think she’s mistaken,” Senator Orrin Hatch wore a pink tie to Blasey Ford’s testimony the next day. Let’s make no mistake about it. Hatch is no feminist. A staff person clearly told him to wear that pink tie to telegraph that he’s got a soft spot. He’s got a soft spot for women that is as loud as a sonic boom. After her testimony, Hatch tightened that noose around his neck. He described Blasey Ford as “attractive” and “pleasing.” She certainly was not there for him to objectify her. 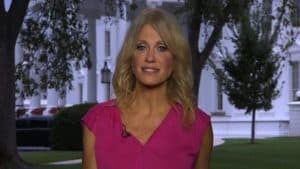 Another subversive use of pink was when Kellyanne Conway wore it while saying that Dr. Blasey Ford “should be heard.” She still works for the man responsible for the nomination. So, here she sent mixed messages given the context of her job. 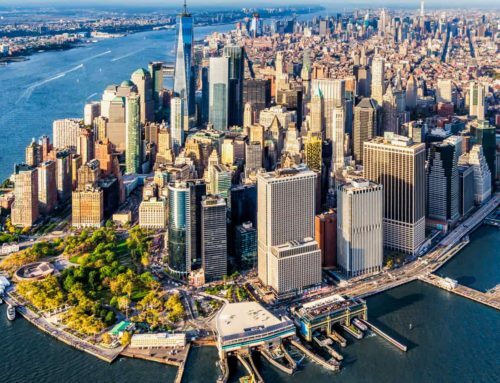 Reverse engineering a color’s long-held meaning is tricky territory. This is the equivalent of saying one thing verbally, and doing another thing non-verbally and visually. She surely didn’t pull the pink wool over my eyes. When people use color in ways that belie their spoken words, I don’t believe them. Do you catch these kinds of inconsistencies, too? It is also crucial to note the absence of pink in the presence of a very important person. Dr. Blasey Ford had not so much as a pink thread on her clothing. Pink’s part of the current conversation is notable. When so many others embrace it’s deeply powerful messages, but the chief witness avoids it, that sends a message, too. It is also crucial to note the absence of pink in the presence of a very important person. Dr. Blasey Ford had not so much as a pink thread on her clothing. Clothed in a monochromatic dark navy ensemble, the perfectly fitted jacket gave her structure and poise. Avoiding pink meant that she avoided looking like she was on a crusade bandwagon. She presented the facts as she knew them. She thoughtfully answered every single question and appeared credible. Pink’s part of the current conversation allowed wearers of the color to stand in solidarity with Dr. Blasey Ford. It proved an effective message.